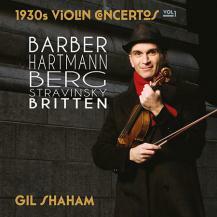 the oldest orchestras in the world and steeped in tradition. Previous directors include Heinrich Schütz, Johann Adolf Hasse, Carl Maria von Weber and Richard Wagner, who called the ensemble his ‘miraculous harp.’ The list of prominent conductors of the last 100 years includes Ernst von Schuch, Fritz Reiner, Fritz Busch, Karl Böhm, Joseph Keilberth, Rudolf Kempe, Otmar Suitner, Kurt Sanderling, Herbert Blomstedt, and Giuseppe Sinopoli. The orchestra was directed by Bernard Haitink from 2002-2004 and most recently by Fabio Luisi from 2007- 2010. Principal Conductor since the 2012/2013 season has been Christian Thielemann. The first and only Conductor Laureate in the history of the Staatskapelle, from 1990 until his death in April 2013, was Sir Colin Davis. Myung-Whun Chung has been Principal Guest Conductor since the 2012/2013 season. or first performed in Dresden. In 2007 the Staatskapelle reaffirmed this tradition by introducing the annual position of ‘Capell-Compositeur.’ Following on from Hans Werner Henze, Wolfgang Rihm will hold the title for the 2013/2014 season. 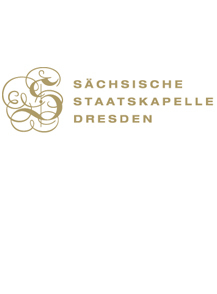 From 2013 the Staatskapelle Dresden is the resident orchestra of the Salzburg Easter Festival, whose Artistic Director is none other than Christian Thielemann. At a ceremony in Brussels in 2007 the Staatskapelle became the first, and so far only, orchestra to be awarded the European Prize for the Preservation of the World’s Musical Heritage. Volkswagen’s Transparent Factory has been partner of the Staatskapelle Dresden since 2008.